Recipients: Do you have the activation code? Great! Let's locate you the gift you received. 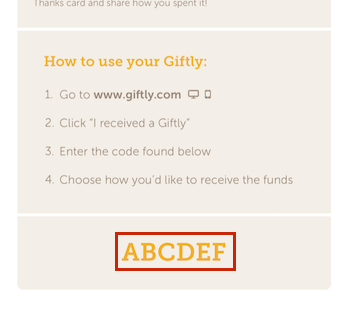 This will make it much easier to provide support specific to the gift you received. Tip: Try searching your inbox for "Giftly". Tip: If you received a printout or greeting card, the activation code is a 6-digit code printed on the paper. Great! Let's locate you the gift you received. 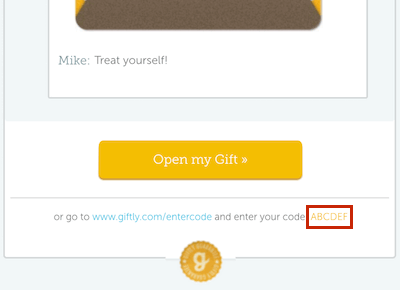 This will make it much easier to provide support specific to the gift.